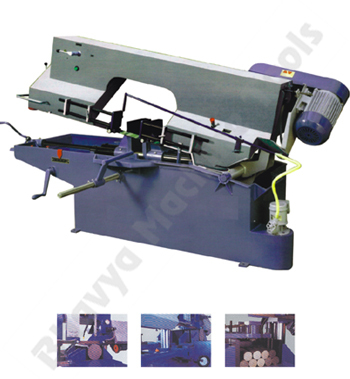 The bandsaw is one of the most important equipment in any workshop. It is also regarded as an ideal tool for accurately cutting different types of materials that includes wood, metal, plastic, etc. In fact, besides cutting curves a bandsaw can also be utilized for performing many other functions such as shaping various metal objects; splitting a big workpiece into smaller pieces; and re-sawing large pieces of wood to form thin strips. Currently a wide range are manufactured globally and readily available in the market. 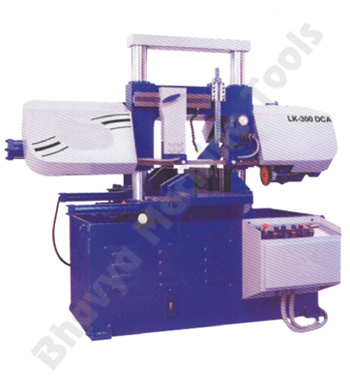 Hence the following description will guide the buyers to choose the right machine for woodworking and metal shaping. Generally there are two types; the first one is the horizontal. They are actually meant for cutting large pieces of wood and metal in various kinds of manufacturing units. And the second type is the vertical; which is mostly used in small workshops for cutting smaller pieces of wood, metal, etc. Further the two basic things to keep in mind before deciding the right is the throat of the machine, and depth of the cut. The throat refers to the distance from the blade of the saw up to the vertical frame of the saw. This distance actually denotes the width of cut that can be executed by it. The throat of the horizontal variety is normally greater than the throat of the vertical ones. For example a 12 inch bandsaw, refers to the size of the throat of that machine. Moreover, the depth of cut refers to the distance from the table up to the upper blade of the equipment. This depth primarily indicates the thickness of the workpiece that can be cut using that particular one. However, certain models may have a smaller depth of cut, and also include an additional riser that can be attached to the machine in order to extend the depth of the cut. Another factor to take into account when you choose a bandsaw equipment is the size of the motor. Usually the horizontal variety and industrial models have a relatively larger motor with variable speeds. On the other hand the vertical ones and smaller models include a low capacity motor. Heavy duty motors with variable speed can be used for woodworking. While slow speed motors can be used for cutting small metals and plastics. Besides this, a buyer should opt for a robust device that has a steel or cast iron table which is around 15 inches in length as well as width; and that can be slanted up to 45 degrees for angular cuts. Further it wheels should have tyres, and a brush for cleaning the wheels. Also prefer a equipment that includes a point for connecting a vacuum cleaner to gather the dust. Therefore all buyers should consider the above mentioned points as they will help to choose the right bandsaw machine for woodworking and metal shaping.